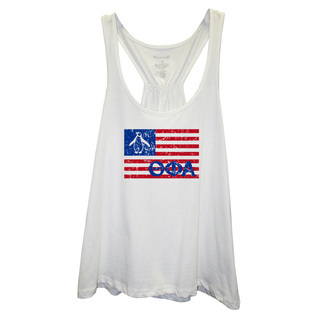 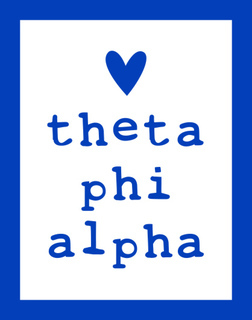 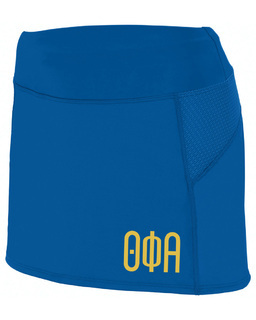 Greek Gear has so much love for the beautiful sisters of Theta Phi Alpha that we�ve dedicated an entire section to them! 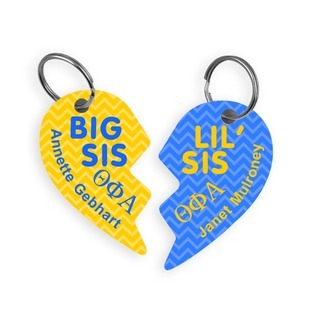 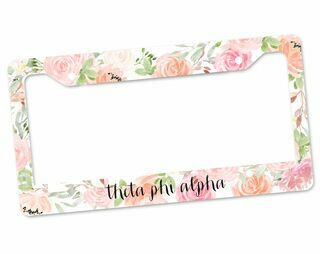 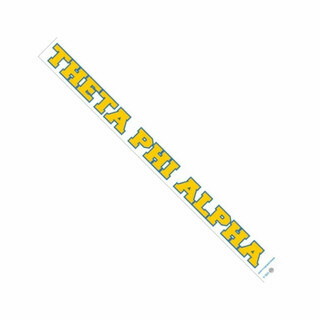 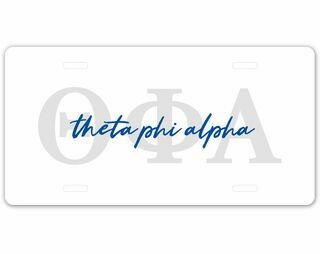 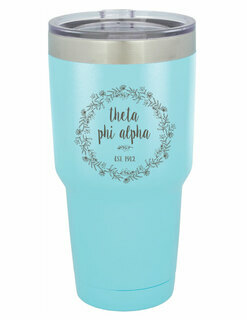 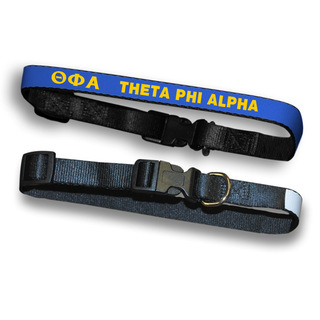 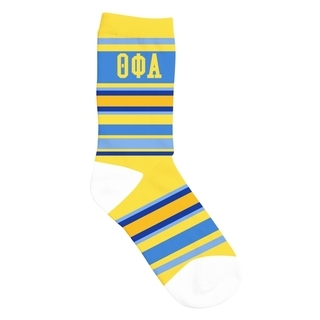 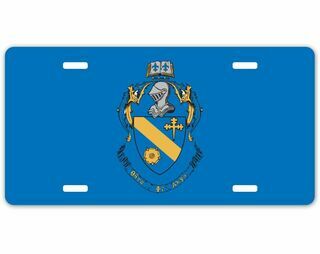 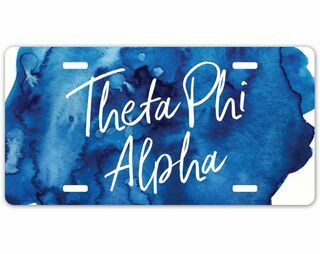 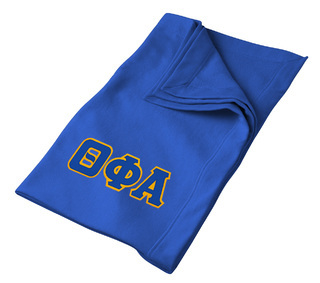 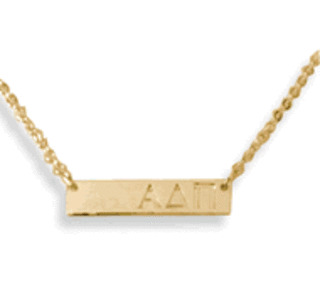 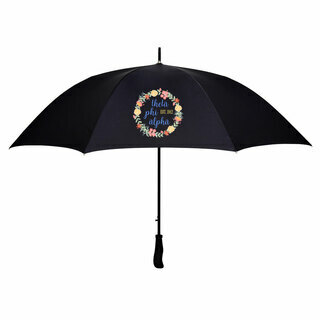 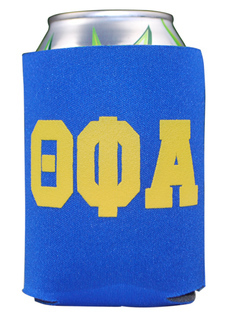 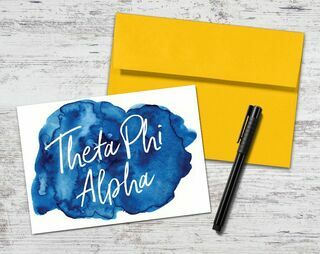 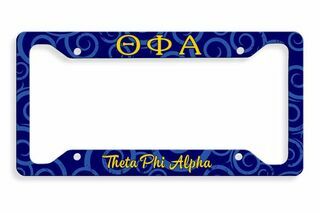 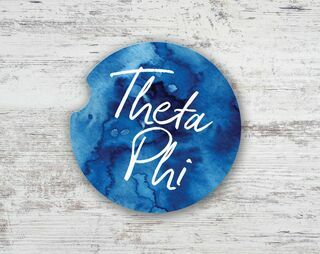 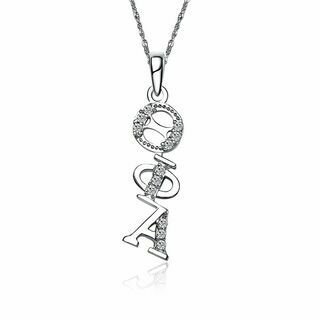 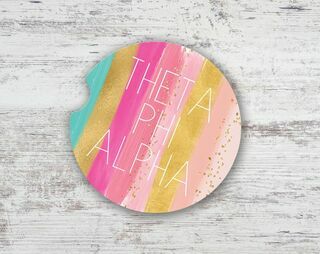 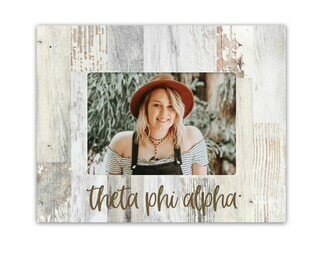 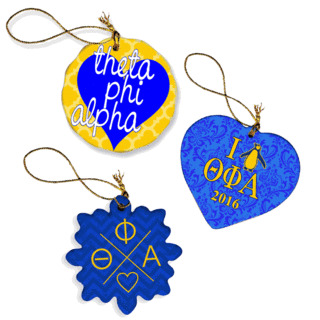 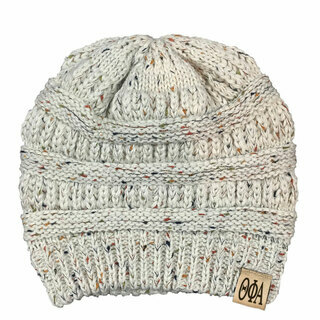 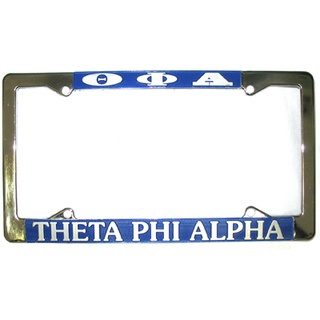 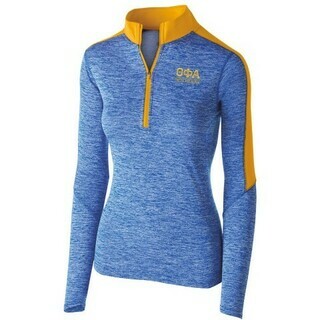 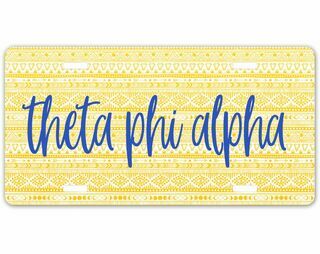 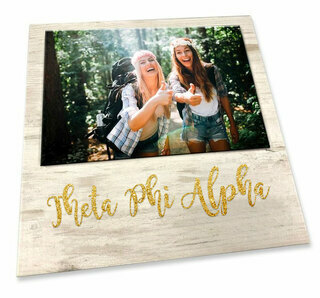 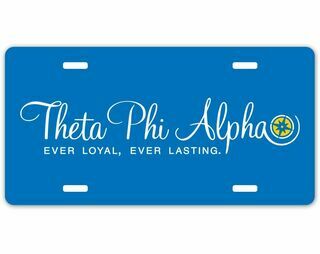 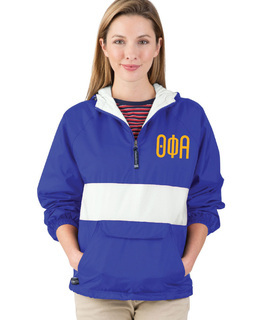 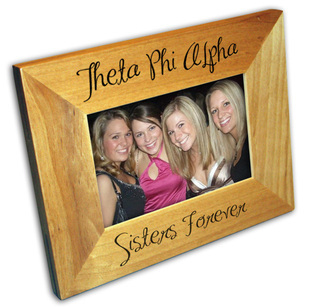 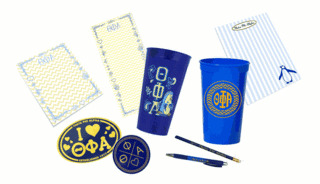 Here you�ll find Theta Phi Alpha novelty items, bid day gifts, Theta Phi Alpha clothing, custom Greek banners, and other personalized Greek items here at GreekGear.com. 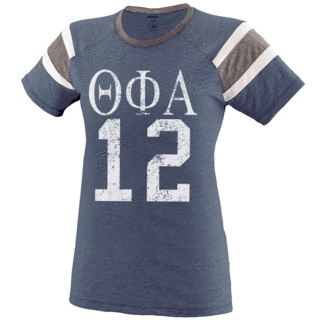 The Theta Phi Alpha women�s fraternity was founded at the University of Michigan in Ann Arbor on August 30, 1912 by ten women: Dorothy Caughey Phalan, Katrina Caughey Ward, Mildred Connely, Selma Gilday, Otilia Leuchtweis O'Hara, Amelia McSweeney, Camilla Ryan Sutherland, Helen Ryan Quinlan, May C. Ryan, and Eva Stroh Bauer Everson. 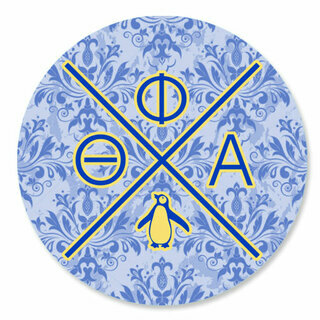 Theta Phi Alpha was originally a Catholic sorority, but soon opened its doors to women of all faiths. 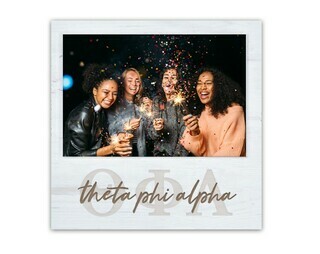 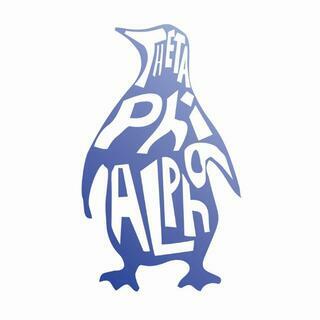 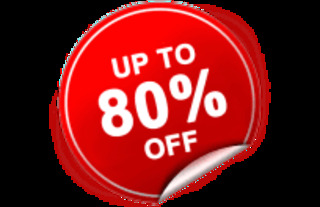 The organization�s colors are Blue, Gold and Silver, and the motto is �Nothing great is ever achieved without much enduring.� The House that Theta Phi Alpha Built, established in 1993, is the sorority�s philanthropic cause. 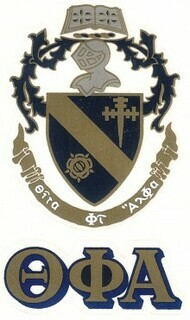 Interests should visit the Fraternity and Sorority Affairs Office at their college or university for more information. 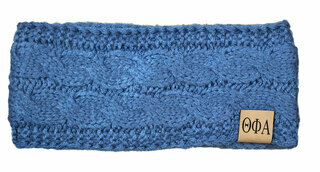 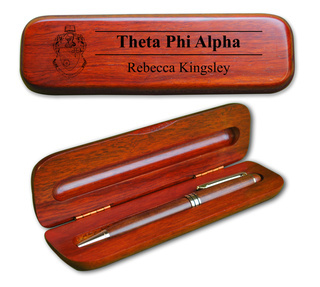 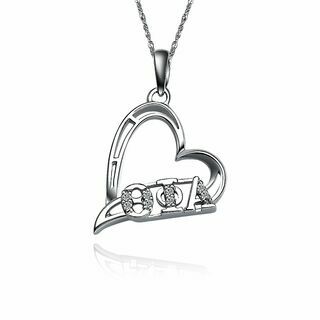 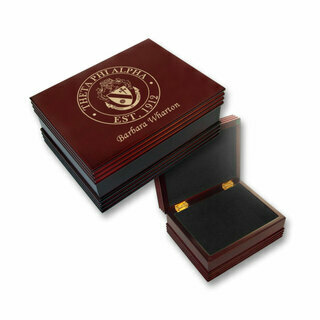 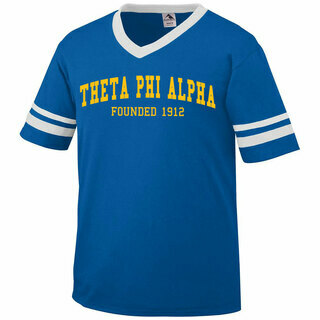 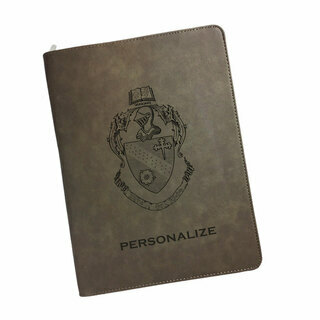 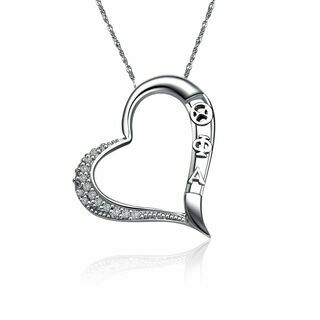 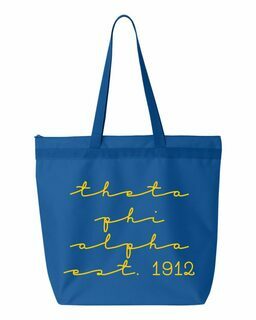 Commemorate 96 years of Theta Phi Alpha excellence this year with some attractive new Theta Phi Alpha paraphernalia! 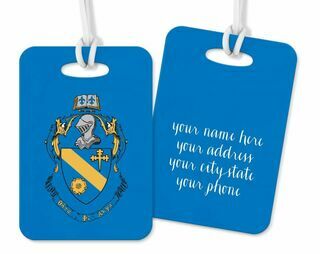 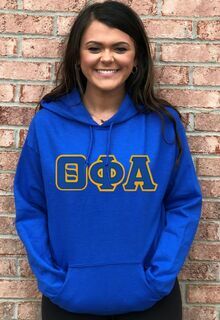 How about a Greek lettered sorority pin for you and each member of your chapter, or Theta Phi Alpha bath robes so that you can even represent your org first thing in the morning! 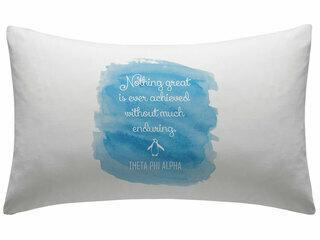 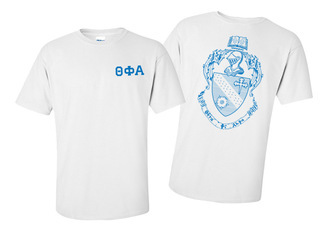 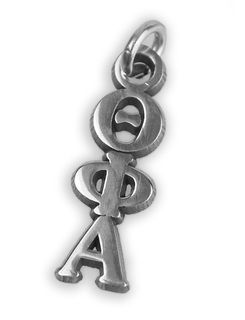 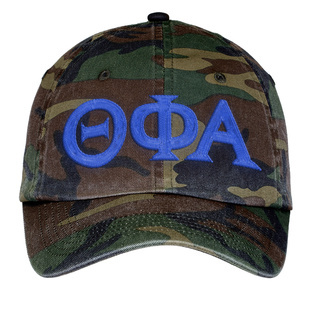 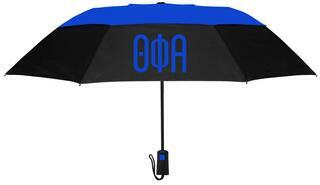 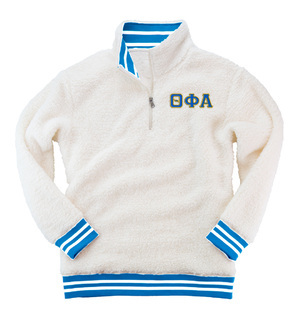 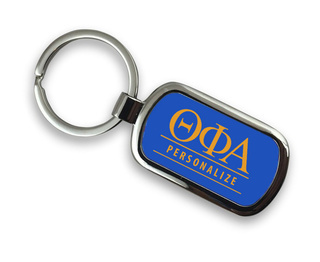 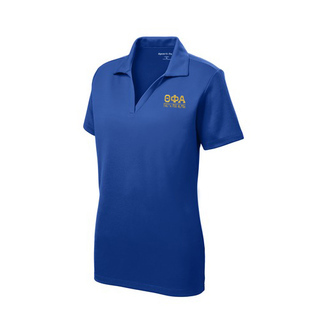 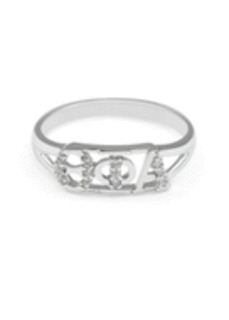 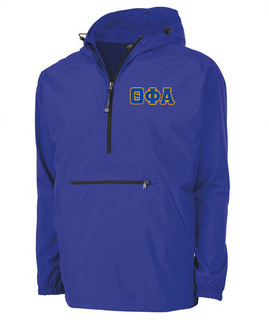 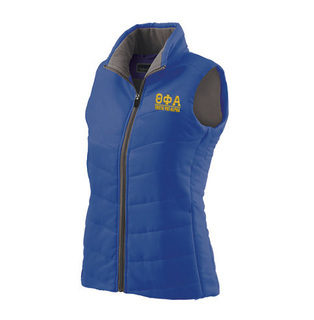 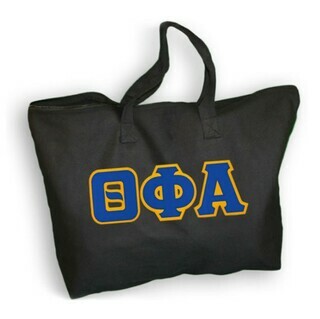 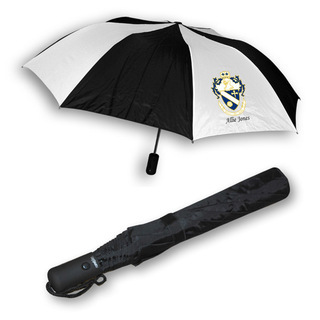 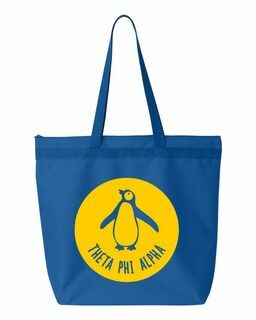 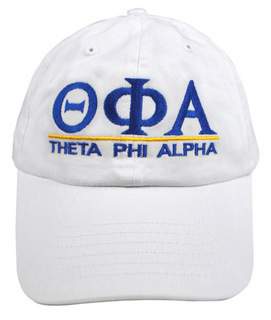 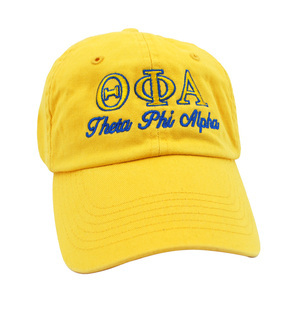 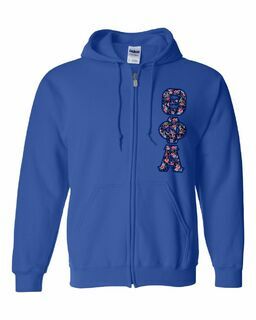 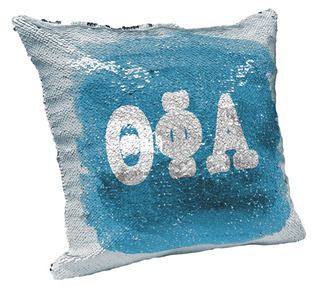 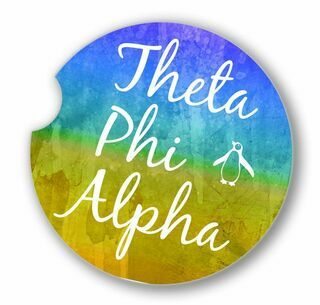 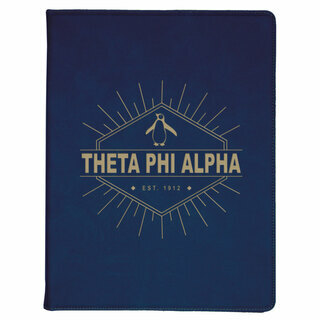 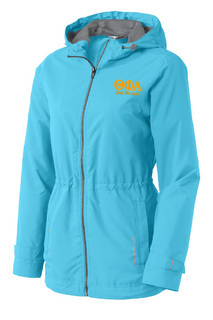 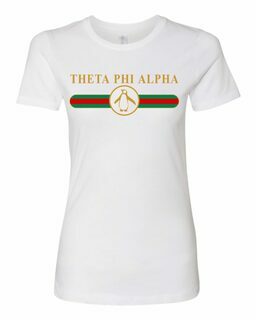 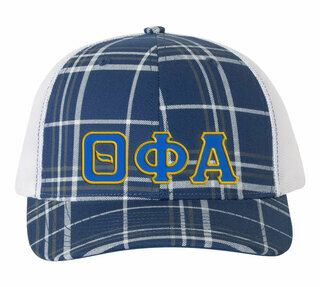 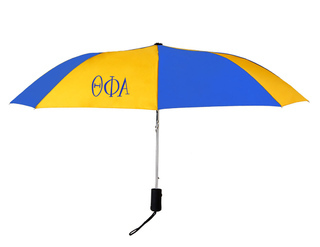 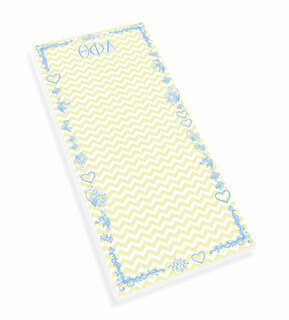 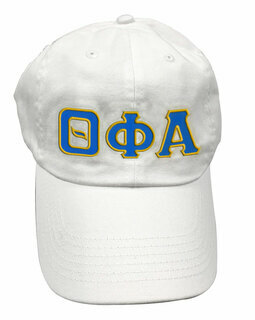 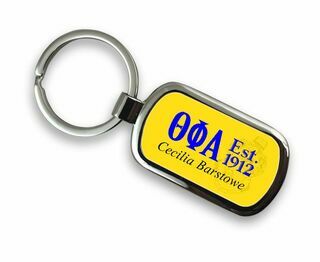 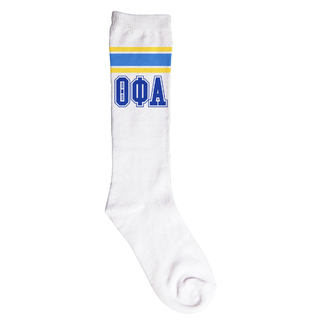 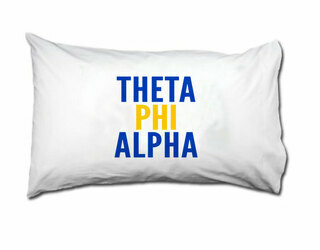 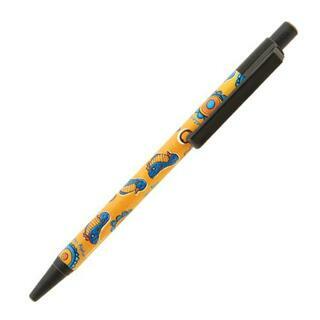 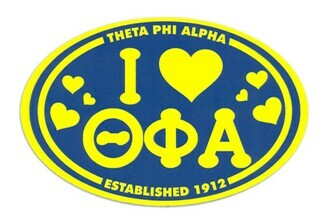 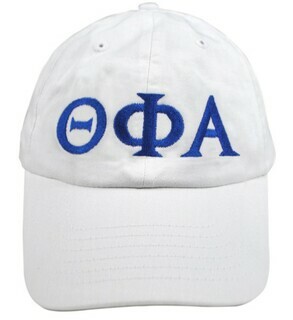 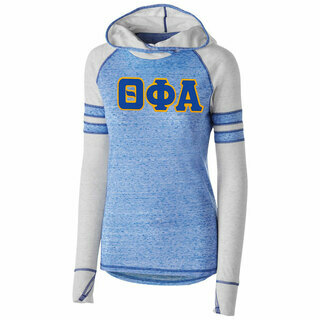 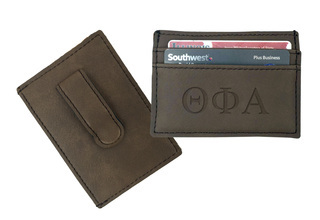 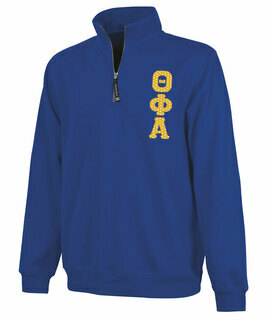 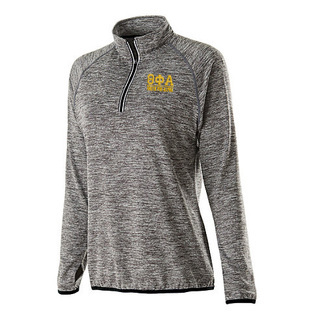 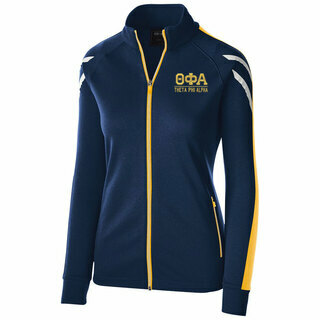 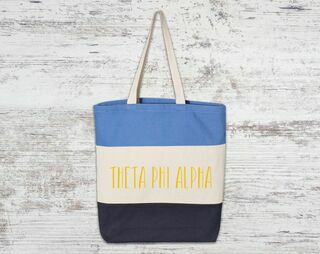 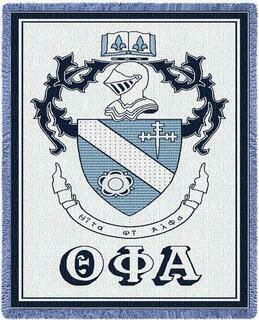 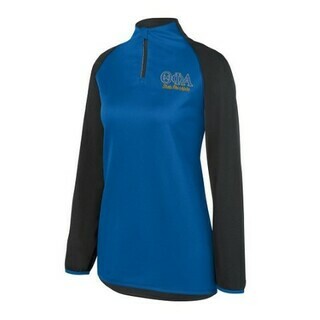 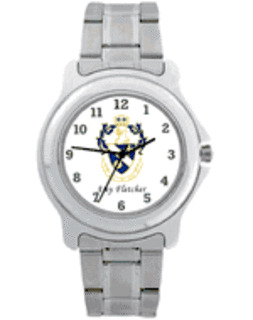 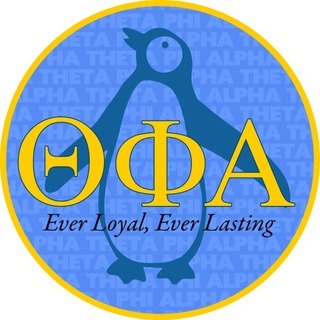 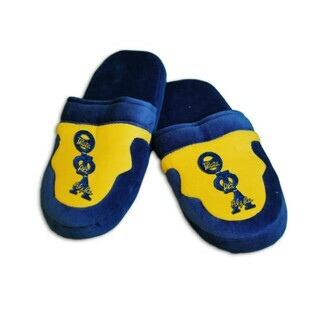 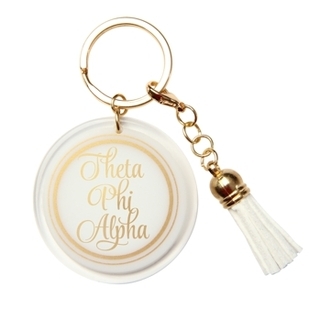 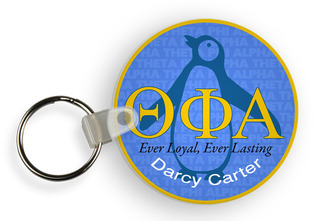 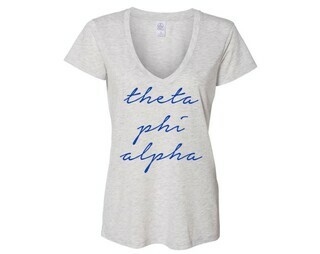 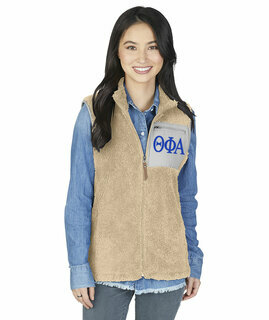 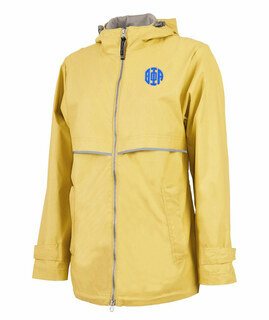 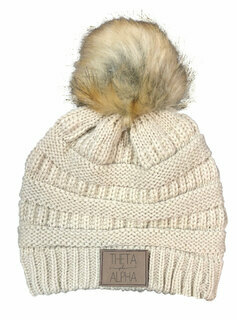 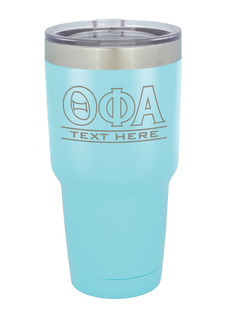 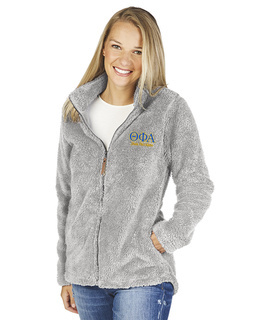 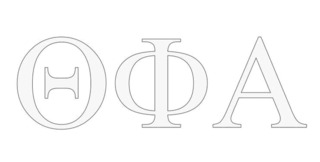 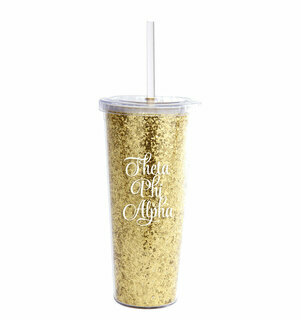 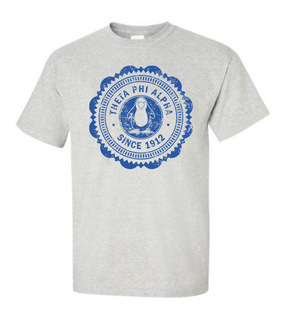 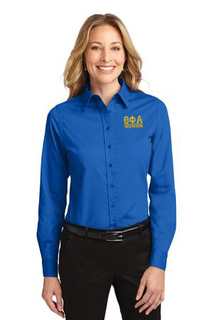 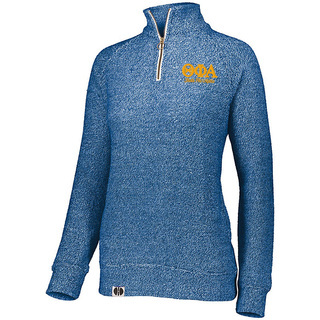 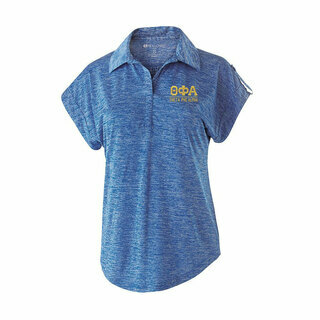 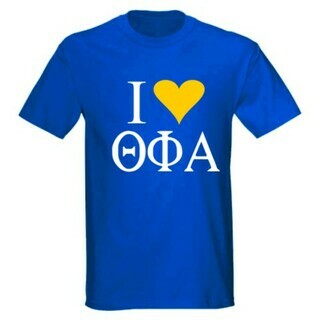 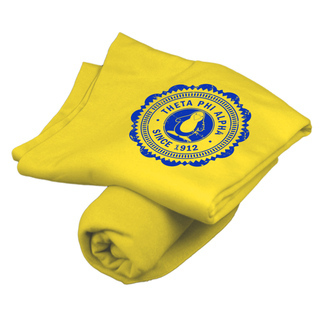 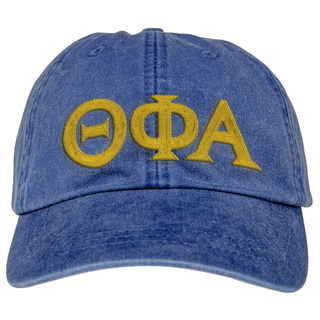 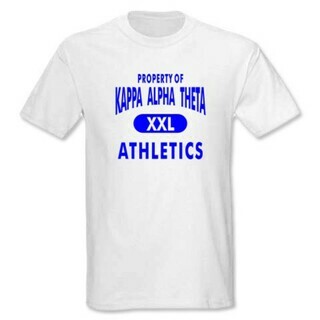 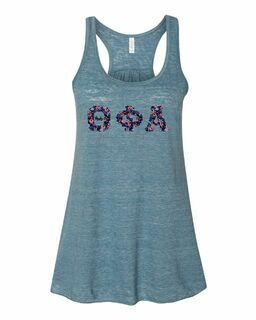 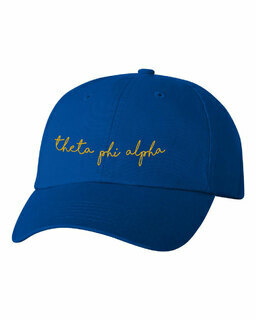 Please browse our complete selection of official Theta Phi Alpha Greek Merchandise below. 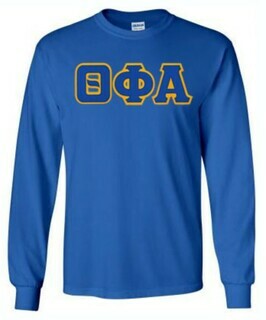 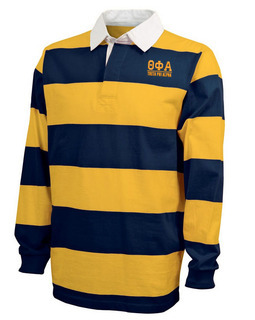 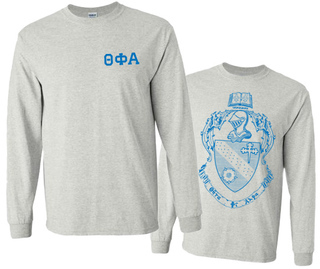 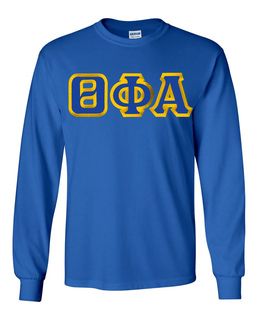 Theta Phi Alpha World Famous Crest - Shield Long Sleeve T-Shirt - $19.95! 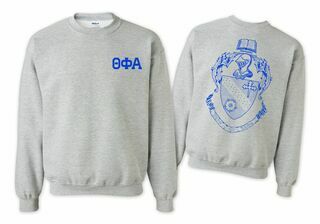 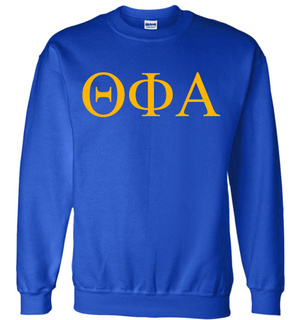 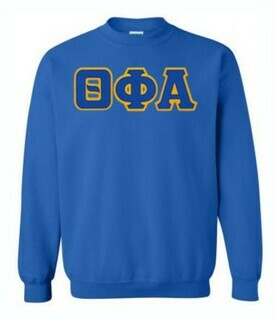 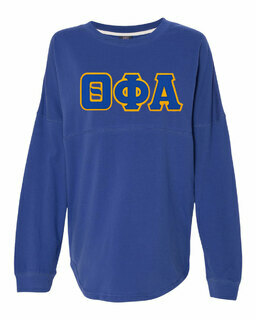 Theta Phi Alpha World Famous Crest - Shield Crewneck Sweatshirt- $25! 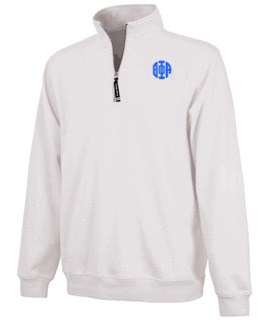 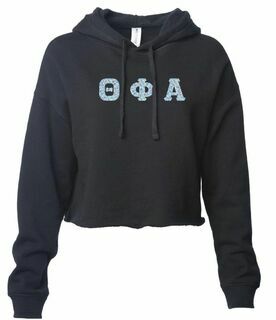 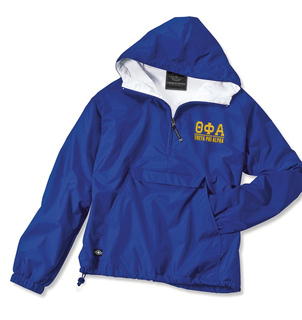 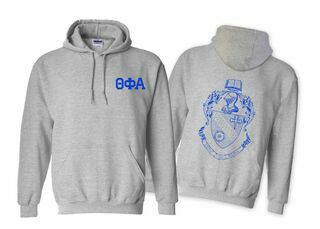 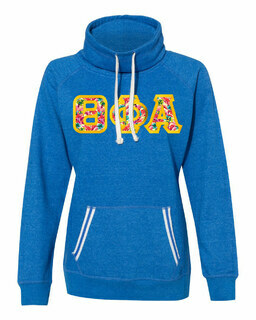 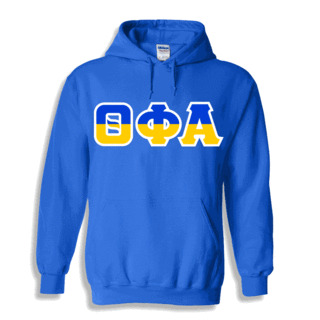 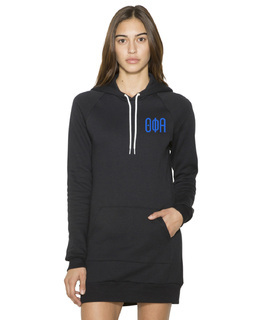 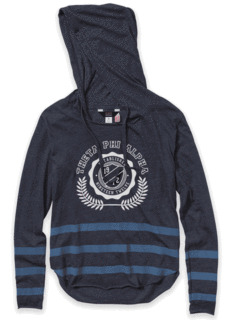 Theta Phi Alpha World Famous Crest - Shield Hooded Sweatshirt- $35! 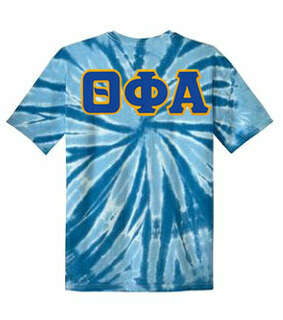 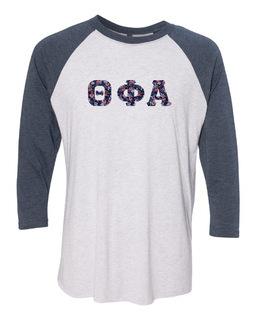 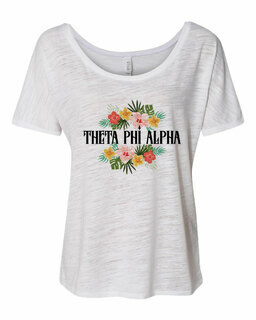 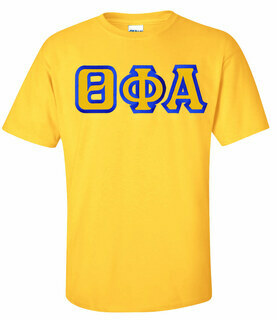 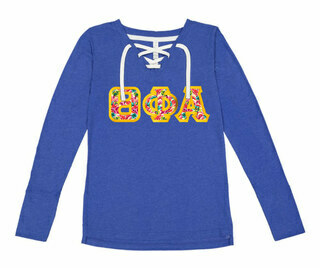 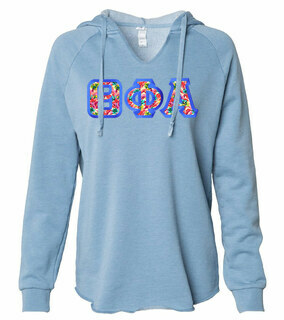 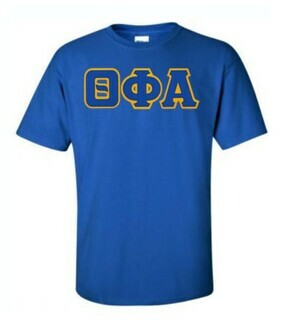 DISCOUNT-Theta Phi Alpha Lettered Tie-Dye t-shirts for only $25! 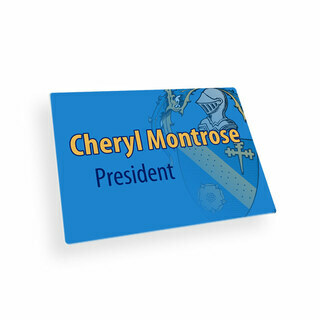 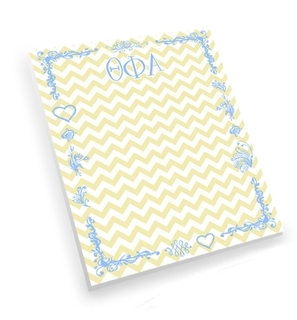 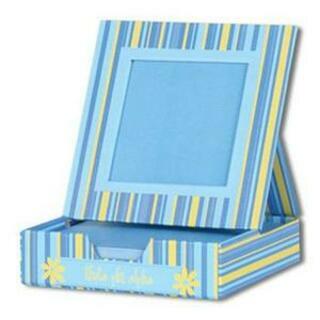 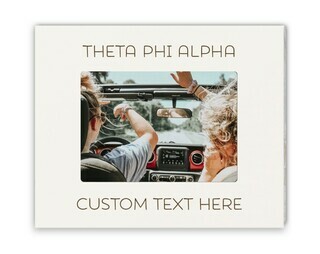 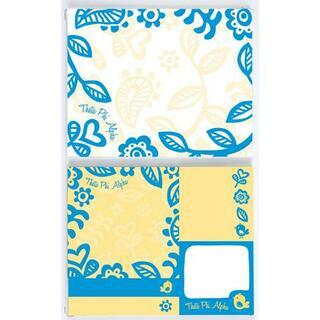 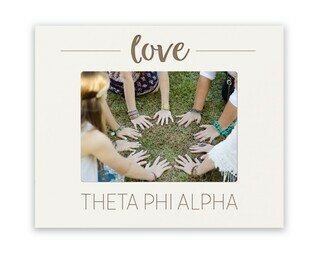 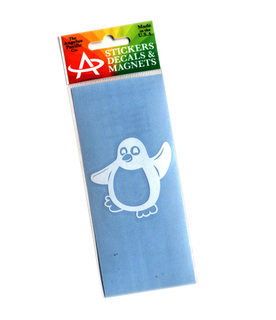 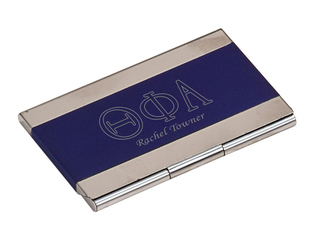 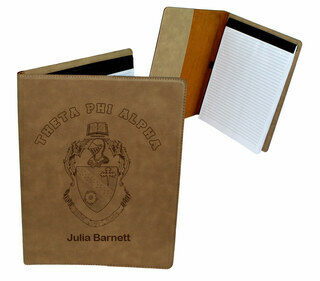 Theta Phi Alpha Sticky Tab Book!